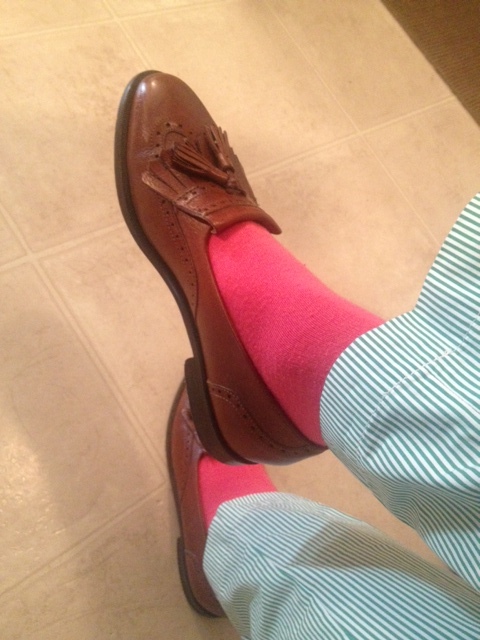 Wingtip kilti loafers with tassels by Cole Haan are a thrifting find. 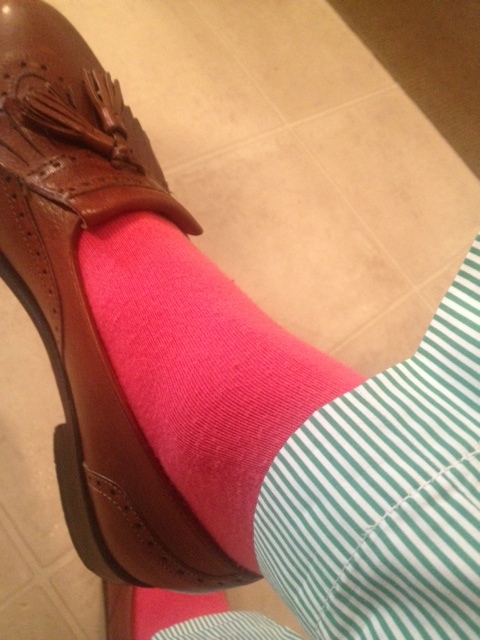 Salmon argyle socks are by Brooks Brothers. 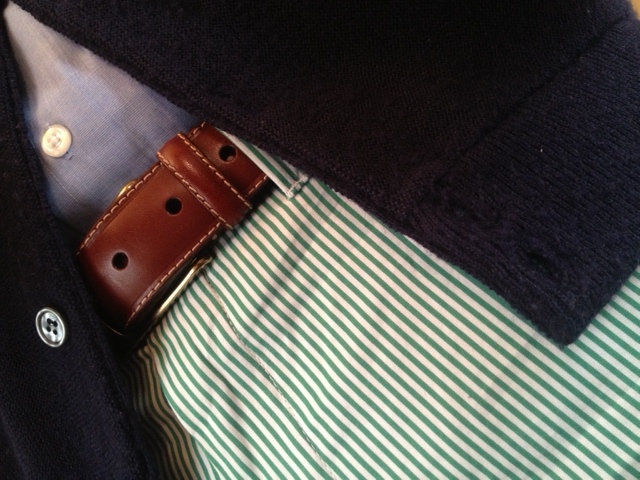 Green and white stripe flat front trousers are by Ralph Lauren. 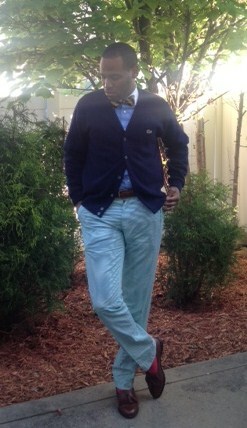 Belt is also by Ralph Lauren. 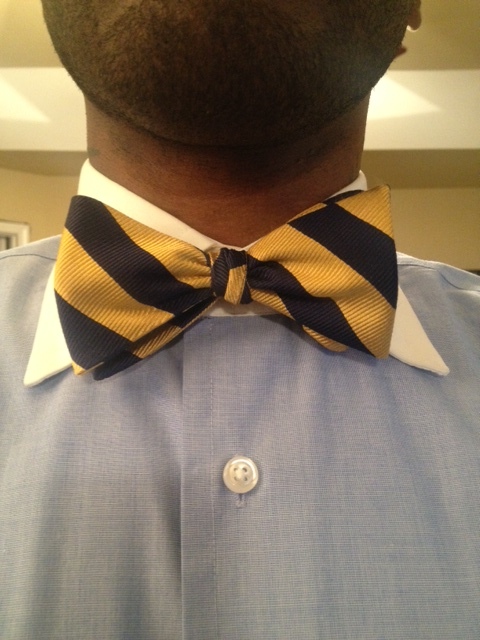 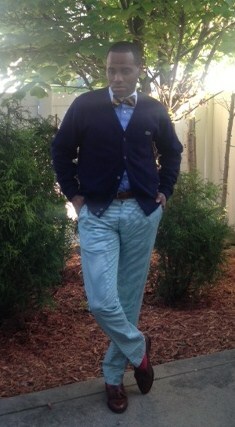 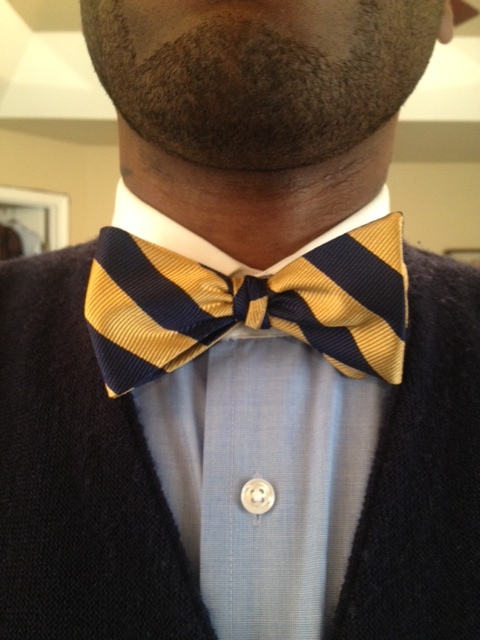 Silk blue and gold stripe bow tie is by Ralph Lauren. 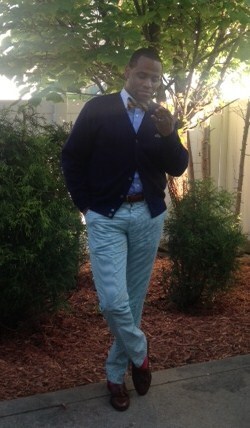 Light blue dress shirt with the white contrast collar by Nautica is a thrifting find. 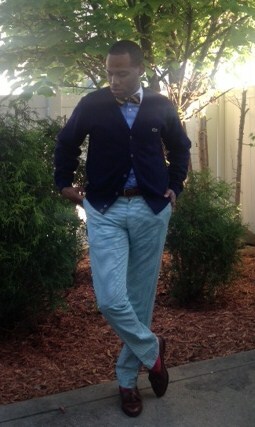 Vintage navy cardigan is IZOD Lacoste, a purchase from Ingram Vintage in Atlanta, Ga.